In 2017 RAW Marketing (under the brand Artisan Events) and South Dublin County Council joined forces to create Flavours of South Dublin; a festival showcasing South Dublin County cuisine from the traditional Irish Stew and brown bread to the more spicy Asian treats; with the aim to highlight the diverse and vibrant food culture that exists in the County. South Dublin County Council, through this festival, wanted to bring together restaurants and eateries in one place and provide an opportunity for residents to taste the wide variety of food that the county has to offer. The event also aimed to bring together all the different communities living in South Dublin and celebrate together through food. 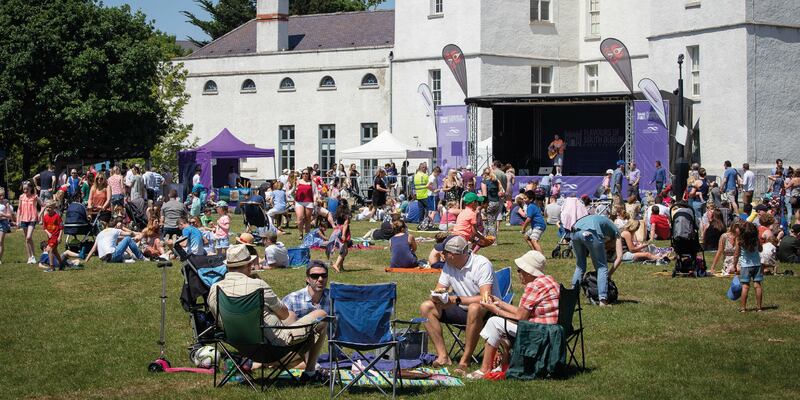 The event is since held every year on the grounds of Rathfarnham Castle, which dates from Elizabethan times and is probably the earliest example of what is termed a ‘fortified house’ built in Ireland. Over the past thirty years, an extensive programme of preservation and restoration has secured the historic fabric of the building and returned the principal Georgian interiors to their former glory. On the day there will be free guided tours of the Castle (www.rathfarnhamcastle.ie).